Single ladies spend up to 30 per cent longer getting ready for a night out than their counterparts in relationships, according to a new survey commissioned by Scholl. This doesn't just apply to clubbing but also to daily life, with unmarried women spending 11 minutes longer getting ready before heading to their place of work, something the company puts down to their 'you never know' attitude. A number of worrying conclusions can be drawn from this research - are unattached women constantly primed to pounce on any eligible men that wander into their eyeline? Do they treat the office as an extension of ITV's Take Me Out, constantly assessing their colleagues as potential partners? They probably don't. However, the phenomenon of people 'letting themselves go' after they settle into a relationship is an accepted one across the sexual spectrum and can manifest itself in a variety of ways. While it's nice when a partner feels so comfortable with their other half that they no longer feel the need to make a huge effort every time they see each other, this can probably go too far in the other direction. When every date involves a film with a number in the title and a frozen pizza, you can begin to suspect the spark is gone. Here are some examples of partners failing to make the effort. Will you still love me when I'm 64 (stone)? People can get a little soft around the edges when they feel really comfortable in a relationship. When you're still in the early stages, maybe you don't order dessert because you want to have a coffee and talk about how well your relationship is going, and you feel like you can't do that with syrup trickling from your chin. Further down the line, though, and there's no relationship-based conversation that can't be improved with a brick of ice-cream, a family pack of Doritos or half a suckling pig. Arguably, one of the best ways to avoid talking about boring couple things like whose turn it is to hoover the dog is by having your mouth full at all times. "I'm smiling so your mother doesn't know what I'm saying, but if you don't give me that sandwich now I'm going to throw all your toys away." Another side effect of a committed relationship is that you have less time to yourself. That hour before work you used to spend swimming, now you're making French toast for your girlfriend or scraping ice off her car. "You can cycle for five more minutes, then I'm going to need you to wash the car." One alternative is being one of those creepy couples who go the gym in matching Lycra outfits, if you want to look like a husband-and-wife serial killer team. Is that an old dress? This is more subtle than gaining three stone, but it can also be a sign of a partner who is beginning to lose their desire to please. It's a little like starting a job - for the first few days you come into the office at 9 sharp in a crisp shirt and snappy tie, then in six months you're sprinting through the door at half-past, with socks on over your shoes and a beard on half of your face. This man is an investment banker who likes to let his hair down on the weekend. On that note, growing a beard can also be a sign of becoming complacent in a relationship. 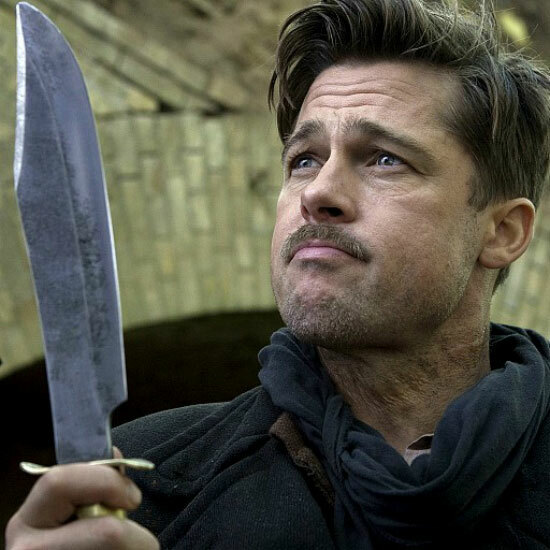 Brad Pitt, presumably just to make the point that he can look however he likes and still be married to Angelina Jolie, recently sprouted a deeply insalubrious beard, a nasty badger-tone toilet-brush kind of growth on his chin. "Look, Ange, I promise I'll shave. But could I at least have some shaving foam or something?" Admittedly, he probably finds it difficult to shave with at least six children of various ages dangling from each arm at all times, but he could probably hire someone to do it for him. Giving up bad habits can be a good way of showing affection for a partner. How many times have you seen someone express their pride at their boyfriend or girlfriend for giving up smoking, while the object of praise gibbers in the corner, glaring at children and biting their nails? No matter what has been given up - bowling, medieval re-enactments, Hemingway imitations - seeing someone fall back into those habits raises alarm bells that they're no longer out to impress. "They'll never know I'm smoking if I hide in here, especially not with this wig on." While the rush of starting out on a new romance is often discussed, the gentler feeling of satisfaction and warmth kindled by a long-term relationship is also a sensation to be cherished (even if your partner has a beard or exclusively wears her mum's carrot-coloured dressing gown after five). Nevertheless, this doesn't mean people should let themselves go completely.